If you or someone you love who is a Senior or Elder lives in Fullerton and needs diverse in home care service, call A-1 Home Care Agency and let us help. We have expert and multi-lingual reliable live in caregivers, nurse aides and home health aides able to assist seniors and the elderly needing Elder & Senior Services, Alzheimer’s Care, Diabetes Care, Dementia Care, Parkinson’s Care, Hospice Care and After Surgery Care. We offer outstanding customer service at a reasonable rate. 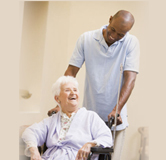 All schedules and care services are customized to accommodate your personal requirements. We are open 24 hours a day, 365 days a year to provide excellent customer service and serve the residents of Respite Care, Brea, Yorba Linda, Anaheim, Placentia and other cities of Orange County and Los Angeles County, Ca. Call us at 949-650-3800 for same day service. 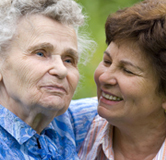 All caregivers are diverse highly qualified, knowledgeable and trustworthy. Every care giver is carefully screened, CPR trained, First Aid trained, provide verifiable references, carry Malpractice / Liability Insurance and undergo a Nationwide Criminal Background Check before meeting with any client. 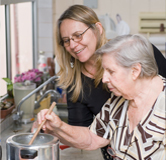 Our caregivers can assist with personal hygiene, housecleaning, laundry, mobility exercises, incontinence care, meal preparation, errands, pet care, lifting / transferring and errands. 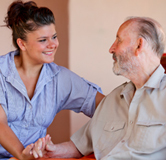 A-1 Home Care Agency provides the help you need when you need it. Assistance can be for a short term, temporary period or for a long term, ongoing basis. For a free In-Home Assessment, please call us at (949) 650-3800. Let us provide you with the care and support you deserve.